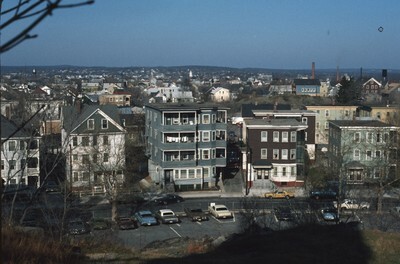 Elevated view from Jenks Hill in Central Falls with mill smoke stacks visible in the distance. Smolski, Chet, "Triple-deckers from Jenck’s Hill" (1970). Smolski Images. 183.